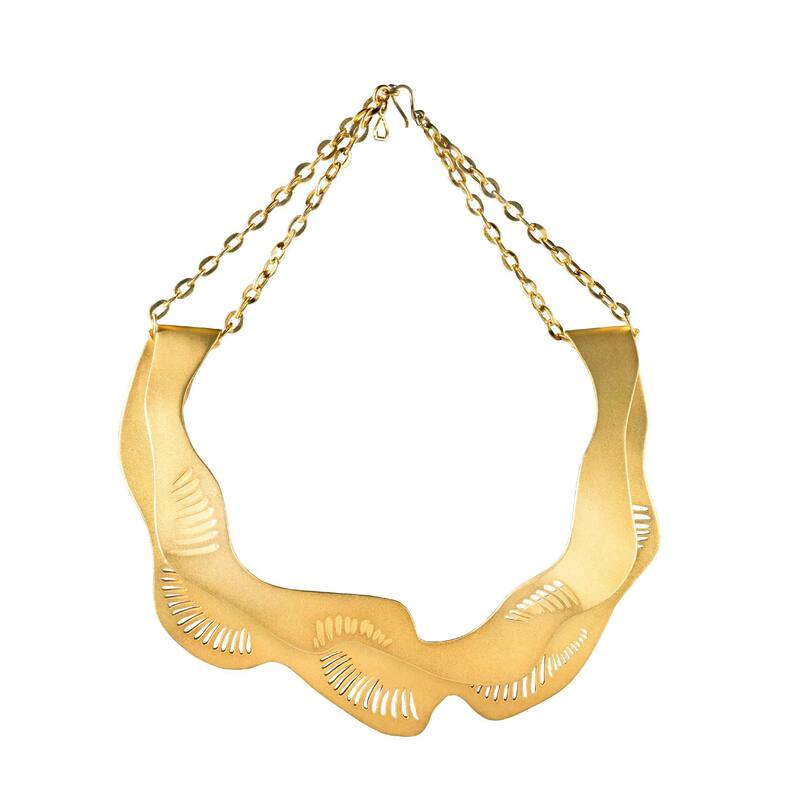 The Sand Dunes Necklace is inspired by the warm sand silhouettes forming as a result of wind blowing softly over the desert surface. 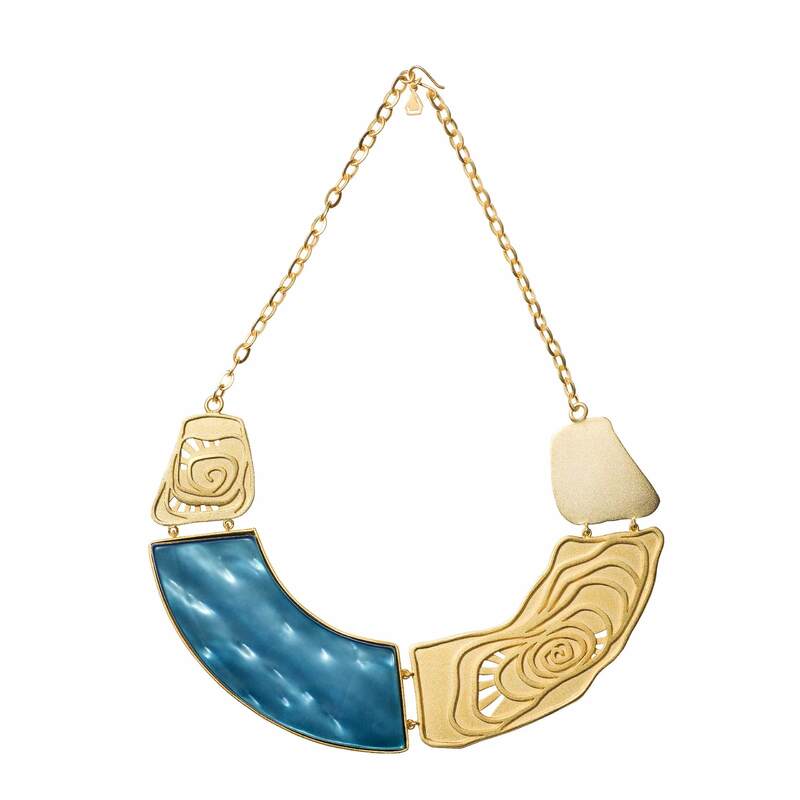 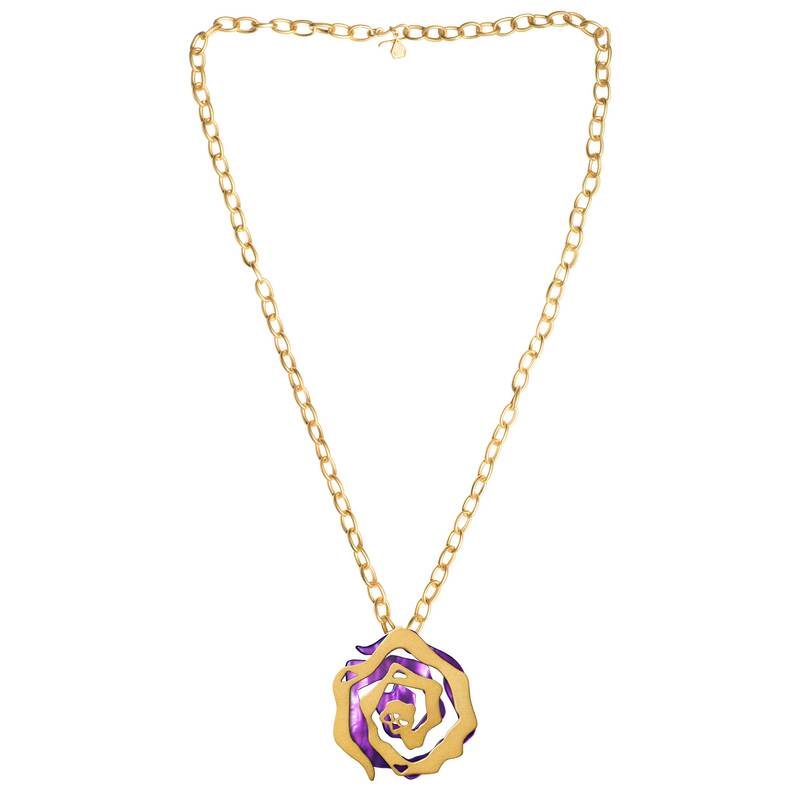 This handcrafted necklace is made of brass, dipped in 18K gold, with a matte finish. 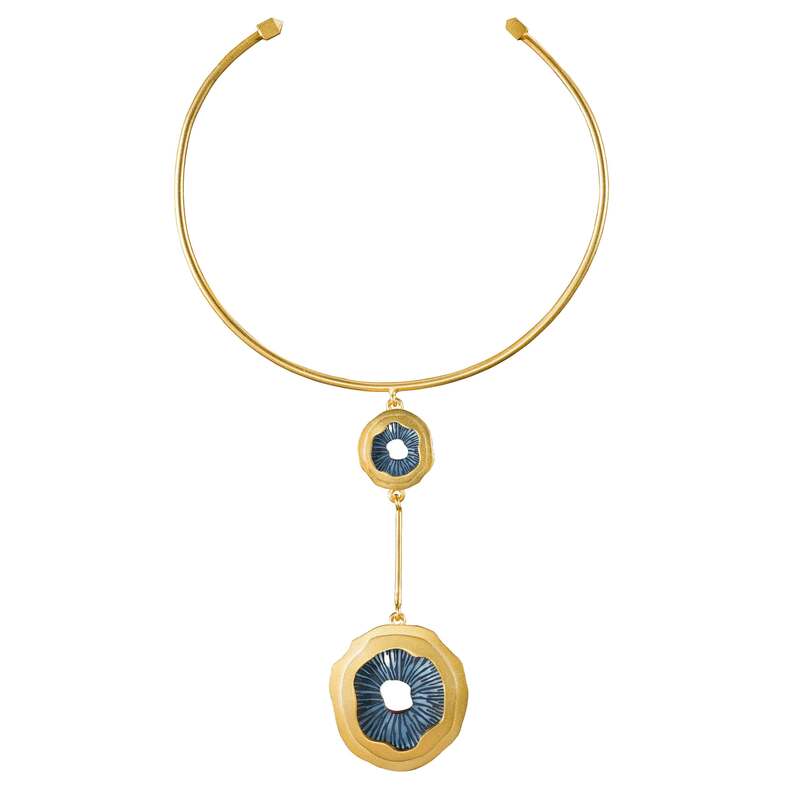 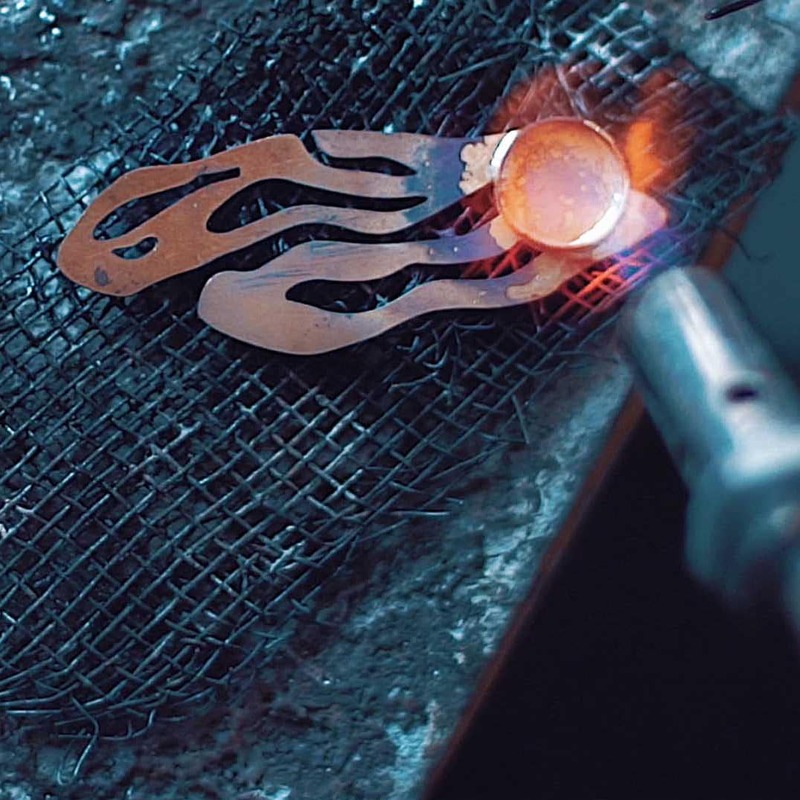 All Jude Benhalim Jewelry is intricately crafted and assembled in our Cairo-based studio using the finest 925 silver and brass dipped in 18k gold. 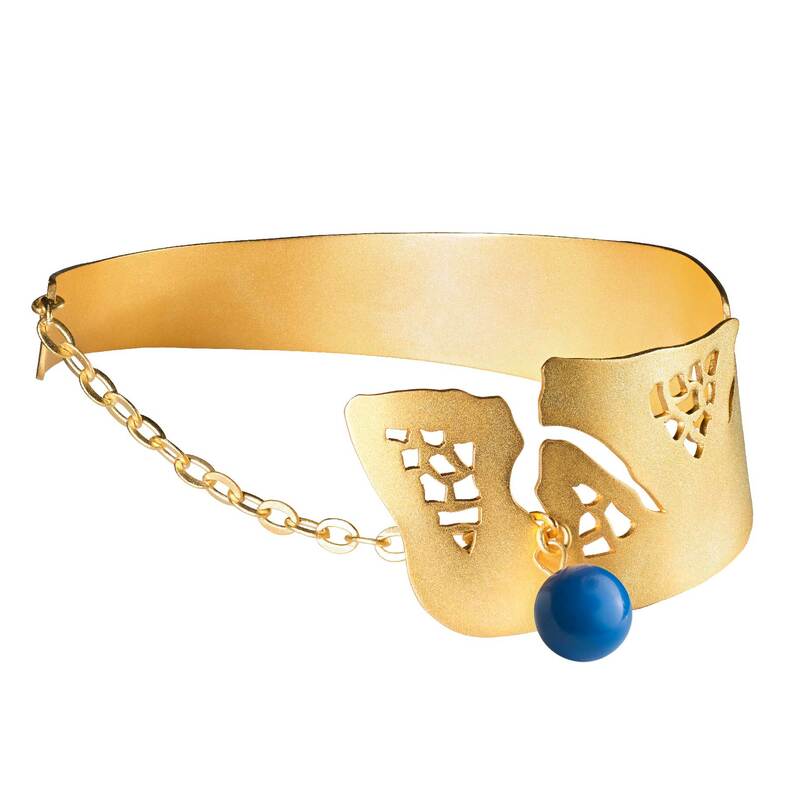 Caring for your jewelry ensures that it will look great every time you wear it. 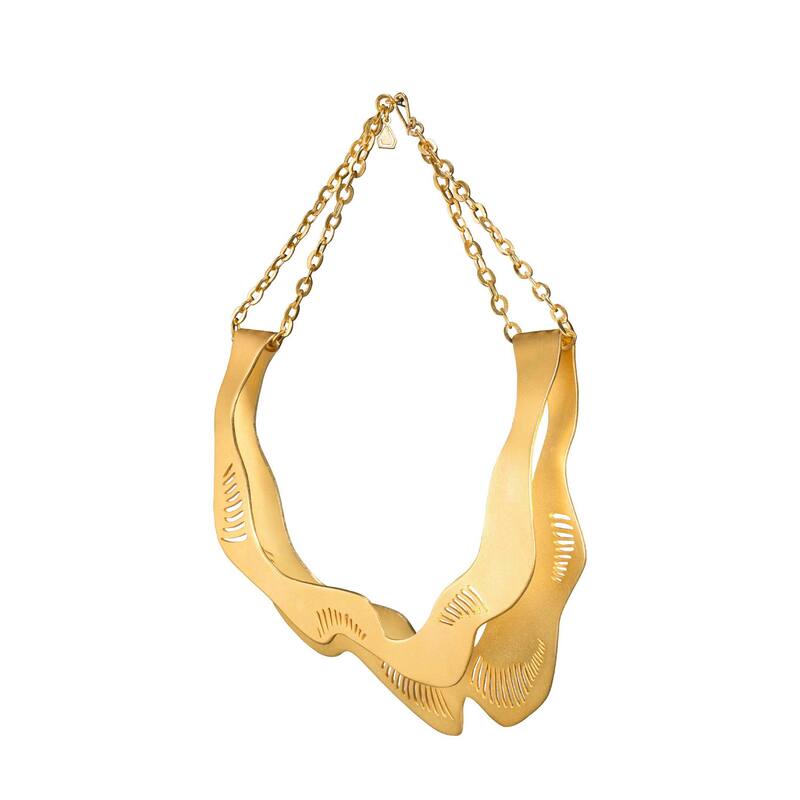 Click the link below for tips on how to maintain the quality and beauty of your jewelry pieces. 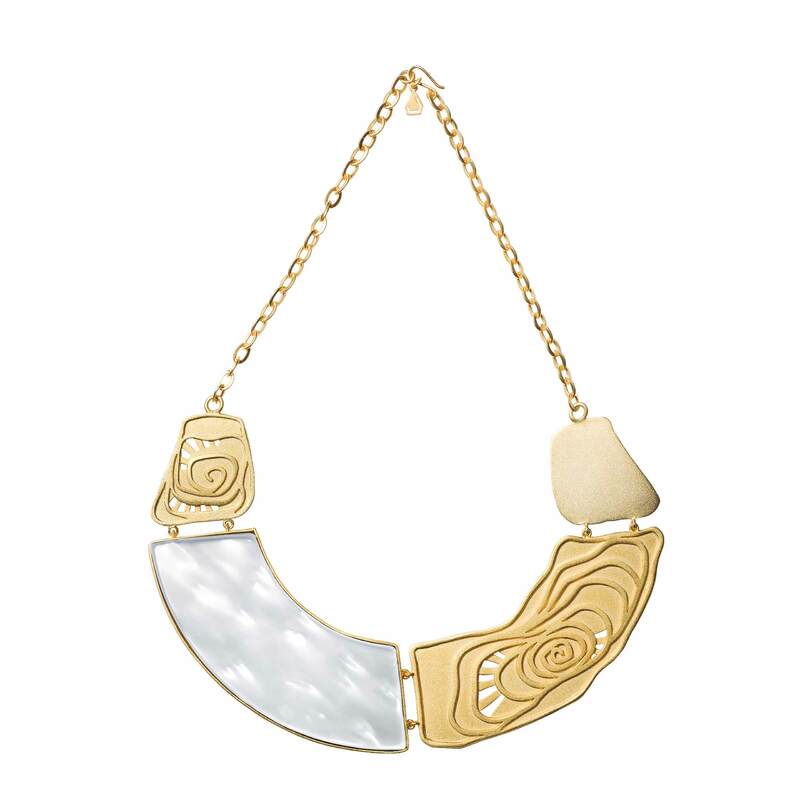 This is a statement necklace, let it add the charm your LBD needs.